We did it with lots of small donors a few bigger ones, but it certainly is the hard way!! 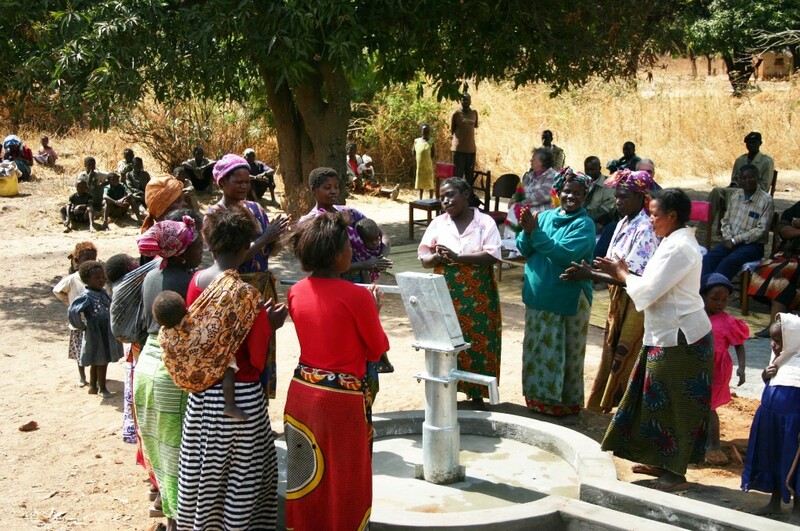 Recently, Seeds of Hope International Partnerships has crossed a major threshold where we have brought clean water to over 500,000 people living in Zambia. To put that into perspective it is 1/20th of the population of Zambia. It is clean water everyday (as many as possible!) this means children can go to school, can Diareah that has been robbing their bodies of nutrition and health will be gone. Last year Zambia was the only nation in the world that was worse in the amount of children that are growing up stunted in their growth. Let’s celebrate by telling someone you know to join with us so that for the next 500,000 it would be easier and can come even sooner!! When we say ½ a million people with Clean water remember it means hundreds of hygiene trainings at every well we drilled. Community trainings at each devivery of Biosand filters, lab tests, meetings with leaders etc. This number represents so much hard work in the US as well as in Africa. Seeds of Hope reports on all these projects that we do including community information. Through that we have gathered a lot of data and have been able to track on various levels below is the current numbers of water-point and activities that we have done since we began. These works have been mainly in and around Ndola, Lusaka, in northwestern and Southern provinces. Working in an integrated formula we feel that communities benefit because training and activities are combined to bring greatest possible change!